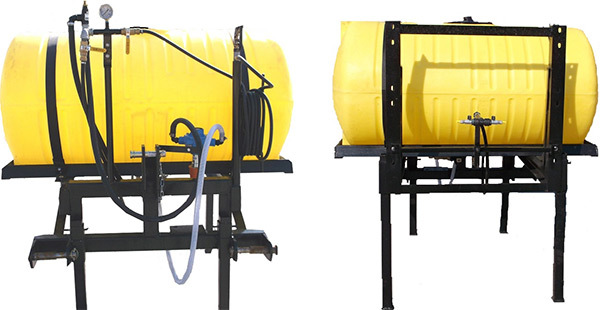 Protank offers a complete line of agriculture equipment. Nurse Trailers, 3 Point Hitch Sprayers, Trailer Sprayers, Poultry Washer Trailers, Hooded Sprayers, Layby Applicators, Fertilizer Applicators, Spot Sprayers, Tractor Mount Tank Racks, Do-Alls, Harrows, and more. We can also customize any of our equipment to fit your needs. Please feel free to contact us with questions or for pricing. 866-776-8265. Protank’s nurse trailers are ideal for liquid transportation. We offer nurse trailers in a Full Drain 1010, 1025, Full Drain 1610, and 1635 gallon tanks. The 1010 and 1610 Nurse Trailers allow for full drainage with a sloped bottom design. We can customize our nurse trailers to fit your needs with a number of different options such as natural/white tanks, black tanks, heavy duty tanks, a wide variety of poly or cast iron pumps, inductor tanks, hose, chemical rack, and more. Our 3 point hitch sprayers are built on a heavy duty painted frame. They come standard with your choice of boom or boomless nozzle, nylon tank straps, single manual cut-off valve, strainer assembly, pressure regulator for by-pass and agitation, Hypro roller pump, Hamilton 43L handgun with 25′ of 3/8 hose, hose wrap and gun holder. Boom options as well as cut-off and pump options are listed below. We can ship our 3 Point Hitch Sprayers nationwide. 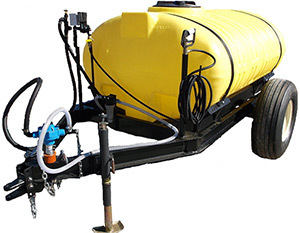 Please contact us for pricing or questions regarding our 3 Point Hitch Sprayers. 888-686-8265. Our pasture sprayers are built on a heavy duty low profile painted frame. They are available with 300 or 500 gallon elliptical tanks. The sprayers come standard with single electric cut-off, roller pump, strainer assembly, pressure regulator for by-pass and agitation, handgun with 25′ of 3/8″ hose, hose wrap and gun holder. We have a variety of boom options as well as cut-off and pump options to fit your needs. 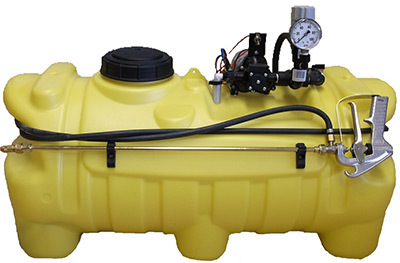 Protank’s Poultry Washers are built on a heavy duty low profile painted frame and comes with a 500 gallon HPDE UV Stabilized elliptical yellow plastic tank. All units come standard with a John Blue DP392.1 Diaphragm Pump and ½” high pressure hose with quick disconnect couplers. The water volume and high pressure result in maximum cleaning and less wash time. Other specifications are listed below. Hypro Tommy Gun which is rated up 10 1200 P.S.I. 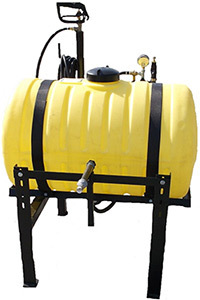 We offer our skid sprayers built on a heavy duty metal painted frame and in several sizes. Our skids range from a 60 ATV Skid to a 300 Gallon skid. Protank offers a variety of heavy duty front and side mount tractor mount tank racks that will fit most John Deere, Case IH, and New Holland tractors. Front mounts are available in 200, 300 and 400 Gallon HPDE UV Stabilized yellow elliptical plastic tanks. They’re built with the option of leaving weights on. Our side mount tank racks come equipped with a “quick disconnect” system. Our tear drop tanks for side mounts are available in 250 or 300 gallon HPDE UV stabilized yellow plastic tanks. Trim view tanks are also available in 200 or 250 gallon. 500 Gallon tanks are also an option. 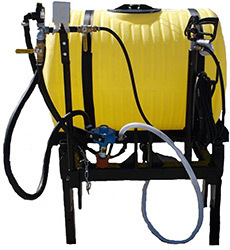 Our hooded sprayers are hydraulic folding and built on a heavy duty 4″x4″ double toolbar. The 24, 20″ hoods along with air induction spray tips assure excellent drift control. 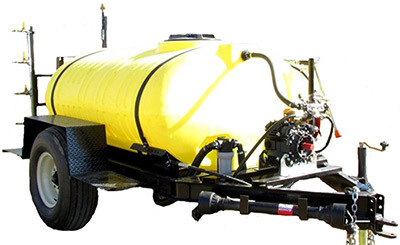 The 12 row unit comes standard with a 300 gallon HPDE UV stabilized elliptical plastic yellow tank, rack, Ace hydraulic pump kit, quickjet diaphragm bodies, gauge wheels and John Blue ball monitors. We also offer other row sizes and options. Protank’s layby applicators are built on a heavy duty 4″x4″ double toolbar and come fully assembled. Downward torsion springs on each leg allow for a consistent spray pattern to cover targeted weeds. The applicator is hydraulic fold and comes standard with a single nozzle per row, and stands. A variety of other options and add-ons are also available. Besides sprayers, Protank also offers field equipment. Our flat folding 12 row Do-All is built on a heavy duty 7″x7″ toolbar. 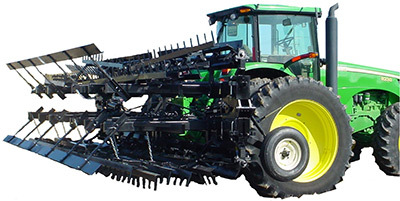 It has (4) 3 row sections consisting of 5 blade choppers, harrow section, and drag boards. A pipe is also available to replace the boards. The Do-All comes with a set of gauge wheels and covers 12, 38″ or 40″ rows as well as 16, 30″ rows. Also available in 8 row. Our 3 Point Hitch Fertilizer Applicators are ideal for liquid fertilization. They are built with a heavy duty 7″x7″ toolbar and come equipped with Ag Systems coulters/knives or injection. We offer a wide variety of options that include different row sizes, pumps, tanks and racks. 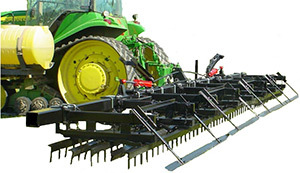 Our harrows are hydraulic folding and built on the same heavy duty painted 7″x7″ toolbar as our do-all. The 4 sections with ¾” teeth and drag allow for consistent and uniform results. Please contact our sales staff for more information.